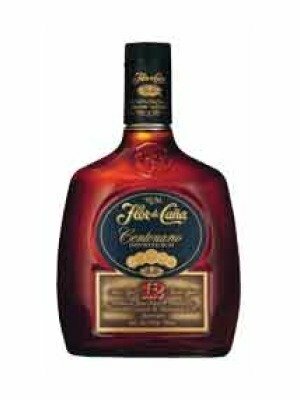 Flor de Cana 12 Year Old Old Centenario is a popular Rum available from DrinkSupermarket.com in 70cl to buy online. Visit DrinkSupermarket.com for the best price for 70cl of Flor de Cana 12 Year Old Old Centenario or compare prices on our other Rum products. This superior, award winning full bodied 12 year old rum offers a rich amber colour and distinctively smooth taste loaded with flavours of butter , toffee and baked apple. A pleasure to sip hand warmed in a brandy glass, neat or on the rocks. Where to buy Flor de Cana 12 Year Old Old Centenario ? Flor de Cana 12 Year Old Old Centenario Supermarkets & Stockists. You can buy Flor de Cana 12 Year Old Old Centenario online in most retailers and find it in the Rum aisle in supermarkets but we found the best deals online for Flor de Cana 12 Year Old Old Centenario in DrinkSupermarket.com, TheDrinkShop, Amazon.co.uk, and others. Compare the current price of Flor de Cana 12 Year Old Old Centenario in 70cl size in the table of offers below. Simply click on the button to order Flor de Cana 12 Year Old Old Centenario online now.